“Tell them to come and see who we are.” Almost every Afghan we met said that. Tell them to come and see. While my mind flashed to nightly news programs that portray all Afghans as dark, bearded men with big guns, ordinary Afghans told me that they want Americans to see them as just that: ordinary people. In October, I participated in a Voices for Creative Nonviolence delegationto Afghanistan. 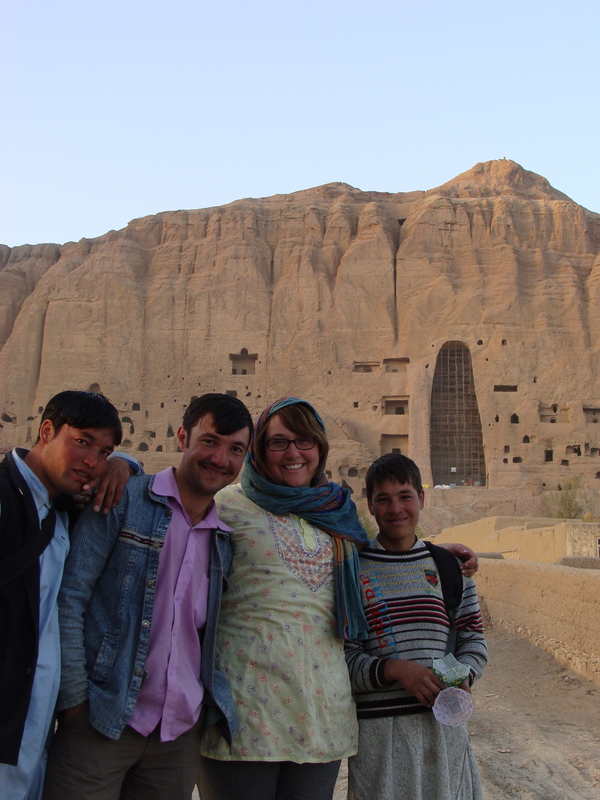 Kathy Kelly, David Smith-Ferri, and I spent almost a month in Afghanistan, joining the Afghan Youth Peace Volunteers in Bamiyan for a week and spending the rest of the trip in Afghanistan’s capital city of Kabul. The purpose of the delegation was to make human connections with those people who are bearing the brunt of our country’s policies of warmaking. Entering the 10th year of U.S. occupation, and after 30 years of almost constant war, ordinary Afghans want the 43 occupying countries and the greater international community to stop the fighting. Come and see, the Afghans would ask wearily. We are human beings. We were welcomed into the country by the Afghan Youth Peace Volunteers (AYPV), a group of young men in Bamiyan, an Afghan province directly west of Kabul. Bamiyan is a relatively stable area of the country with a large population of ethnic Hazaras and Tajiks. While we were there, the young men invited us into their daily lives. They work at small shops and in the fields, harvesting potatoes or hauling water by donkey. Their large families welcomed us into their homes with smiles and nods and messages of peace. We shared simple meals over food and with laughter, and seemingly insurmountable differences grew negligible. 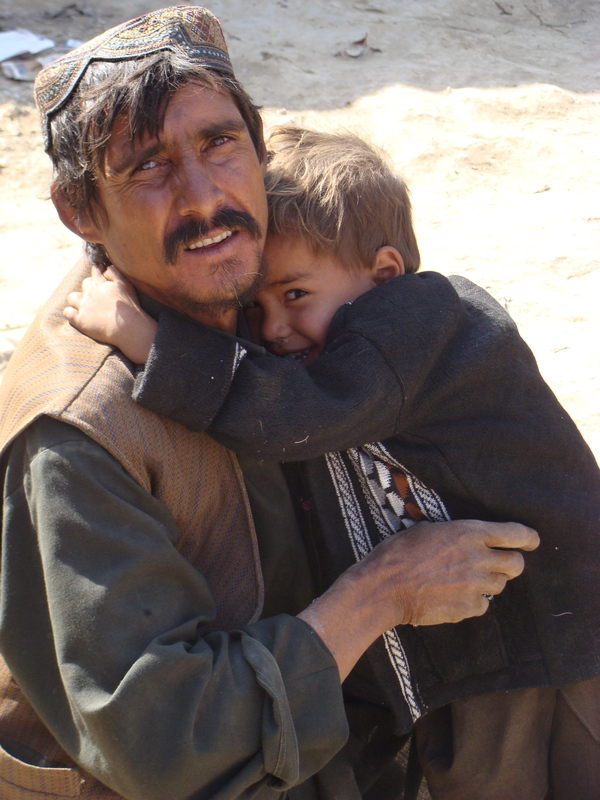 A man and his son originally from Helmand Province, now living in an internally displaced persons camp in Kabul. The history of Afghanistan, I am learning, is a complicated web of interlocking systems of violence — a murder mystery-like story with warlords, ethnic oppression, drug rings, shadow governments, and corruption. But I am struck with the wisdom that was shared with us over tea in a Kabul café from a Western woman who has lived in the country for the last decade: There is not a military solution to the problems of Afghanistan. Forty billion dollars of U.S. humanitarian aid since the invasion in 2001 has done nothing for the poor. Policies to pump the country with even more weapons will never result in lasting peace. Young men with little education and no opportunity to provide food for their fatherless families will continue to join the Taliban for a meager salary. Come and see, the boys beg us. As they continue to bear the brunt of our military machine, may we hear them. 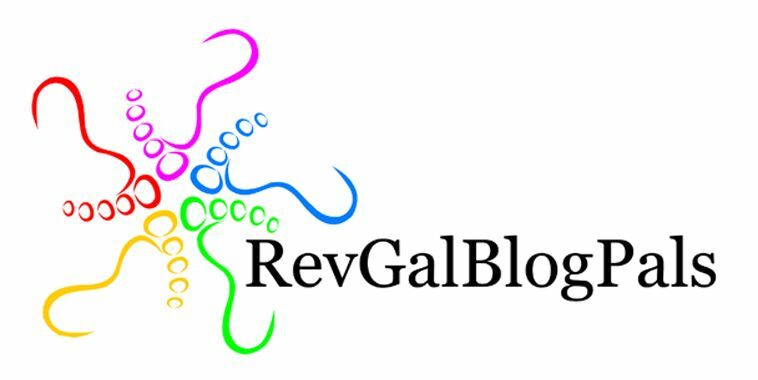 This week’s guest blogger, Jerica Arents, is a co-coordinator of Voices for Creative Nonviolence and is a recent graduate of Loyola University Chicago’s Institute of Pastoral Studies. Jerica lives in the White Rose Catholic Worker in Chicago where Sister Julia loves to hang out to play games, sing songs, pray for peace and justice and eat dumpster-dived food. All photos are the property of Jerica Arents. For permission to reprint please comment on this blog entry. Blessed Jerica, thank you! Thanks for going to represent us in Afghanistan and telling the Truth about what you found!!! When I re-read this important post I remembered how I got to hear the voices of the children you wrote about on the conference call the last time I visited the White Rose. Let us be go and be free from the lies that blind us. Amen. Thanks again, Jerica!